“The NFL Today” host Dan Marino visits the ladies of THE TALK to preview this weekend’s Super Bowl match-up between the Baltimore Ravens and the San Francisco 49ers, Wednesday, January 30, 2013. 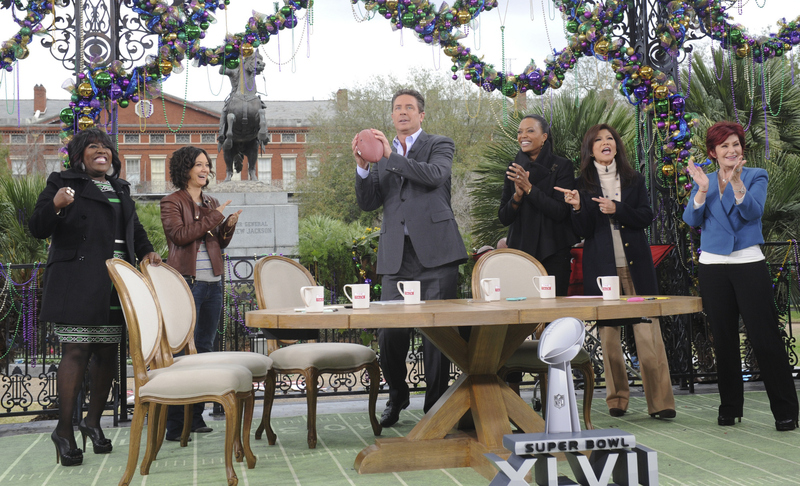 All week THE TALK broadcasts live from CBS Super Bowl Park at Jackson Square in the heart of the historic French Quarter in New Orleans, airing on the CBS Television Network. Sheryl Underwood, from left, Sara Gilbert, Dan Marino, Aisha Tyler, Julie Chen and Sharon Osbourne, shown.